All tokyobikes come in a range of sizes to fit everybody. It is very important to choose the correct size when selecting your new bike. 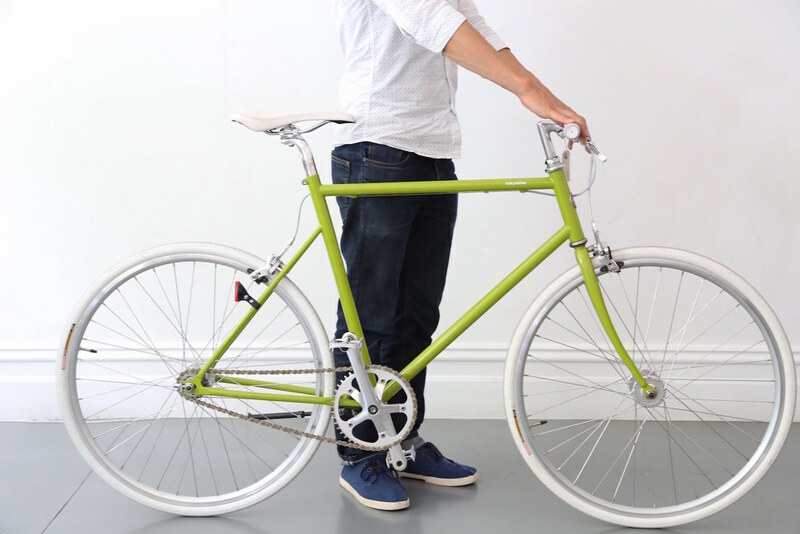 Our bikes come in four sizes in the CS, SS and Sport models, three sizes in the Bisou model and two sizes for the Mini-Velo. Your size can be determined by your height but also by the length of your inner leg in relation to the standover height. Please find instructions on how to measure your inner leg below. *Please use this chart only as reference. Everyone's body is different, and you may have a sizing preference. The length of your inner leg can be measured when standing upright with a book clasped between your legs as pictured (to allow for the width of the tube). 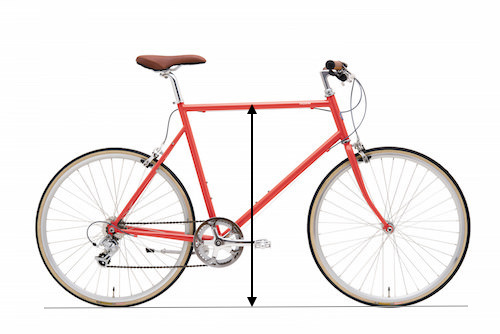 When measuring your inner leg length the optimal height is approximately 2.5cm more than the standover height, so that you can comfortably stand flat footed over the top tube. The height of your saddle can be adjusted so that your ride is as comfortable and easy as possible. To find your optimal saddle height, you can raise or lower the saddle so that your leg is slightly bent (almost straight but without your knee locking) when your pedal is at its lowest point in the rotation.